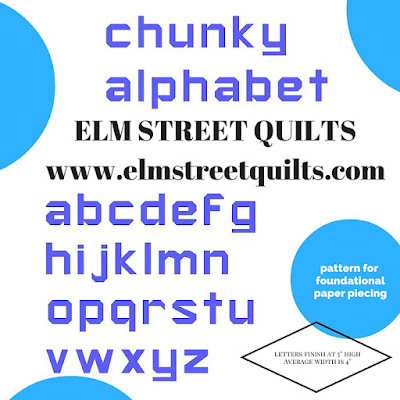 Elm Street Quilts was established in June 2014 as a platform for my patterns (available at Craftsy), my tutorials and a place to host Quilt-alongs including the very popular Bag It series. Elm Street Quilts is available on Facebook and Elm Street Quilts QAL Facebook group recently started a group page for the QAL - come join us! Elm Street Quilts is offering a copy of Chunky Alphabet, a paper pieced pattern. Thanks for hosting and for sharing these sponsors. Lots of fun!! Tried to subscribe to the newsletter but it says too many requests!! 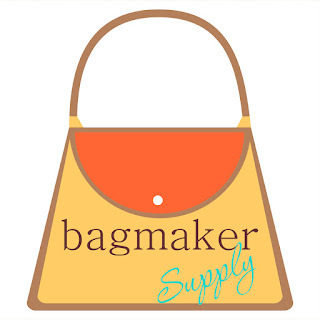 Can't wait to look more closely at Bag Maker. I already saw a few things I need to order ;-).